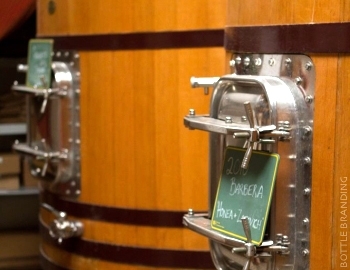 Palmina is more than a winery. It is a philosophy, a passion and a strongly held belief that wine is an extension of the plate, a component of a meal and a means to bring people together. Formed by winemaker Steve Clifton in 1995, Palmina is named in honor of Steve’s great friend Paula. Like a grandmother to him, she taught Steve to love cooking, wine and the Italian lifestyle and was a spark in his life. After Paula succumbed to breast cancer, Steve found that her given name on her Italian birth certificate was Palmina, and the winery was thus fittingly named. Today, Palmina produces a full range of wines crafted from Italian varietals grown in Santa Barbara County, California. Palmina is not trying to emulate the Italian versions of those wines, but rather translate the history of those grapes to the growing conditions and vineyard sites of the very unique characteristics of Santa Barbara County. The wines are Italian by inspiration with flavors rooted in Santa Barbara, and all are intended to be a delicious component of a meal. Palmina wines can be found in restaurants and bottle shops throughout the United States, Canada and Japan as well as directly from the winery, and can be tasted at the tasting room in the Lompoc Wine Ghetto. 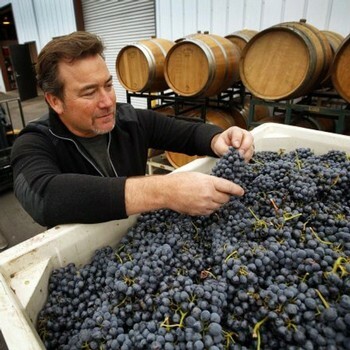 Upon release, each wine includes a recipe that Steve creates and prepares, pairing each food and wine with the season.